Three senior academics from the University of Southampton are involved in the creation of a £7 million research centre into UK railways. Rail Research UK, which was launched this morning, will establish a strong engineering and scientific base for railway research. The initiative, which involves 12 research groups from seven universities, is led jointly by the Universities of Southampton and Birmingham. It will work alongside the rail industry on research projects that will help to achieve the Government's goals of improving the capability, reliability, safety, attractiveness and environmental performance of rail systems in the UK. 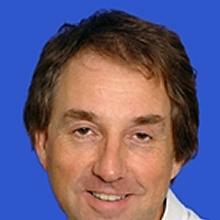 Principal Investigator is Professor William Powrie from the University of Southampton's Department of Civil and Environmental Engineering. He is joined by Professor Mike Griffin from the Institute of Sound and Vibration at Southampton and Professor Mike McDonald from the University's Transportation Research Group. Professor Powrie said: "Rail Research UK will provide a coherent focus for the multidisciplinary research that is needed to address the problems of capacity, reliability, attractiveness, safety and environmental performance that confront our railway system. It brings together the industry and a wide range of research expertise from a number of universities to form the strong virtual centre for railway systems research that will help make Britain's railways once again the best in the world." RRUK has been funded by a £7 million grant from the Engineering and Physical Sciences Research Council (EPSRC). 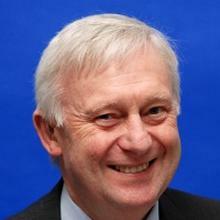 Professor Keith Madelin of the University of Birmingham is the centre's first Director. I am Professor of Geotechnical Engineering within the Faculty of Engineering and Physical Sciences at the University of Southampton. Prof. Mike McDonald is Emeritus Professor of Transportation Engineering within Engineering and Physical Sciences at the University of Southampton. 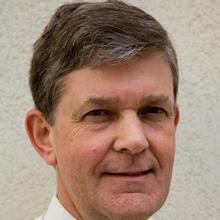 Professor Michael Griffin is Professor of Human Factors within Engineering and Physical Sciences at the University of Southampton. The Faculty of Engineering and Applied Science at Southampton is the largest all-5* rated Engineering Faculty for research in the UK. Key groups involved in the new centre for railway systems research are the Institution for Sound and Vibration Research, the Transportation Research Group and the Department of Civil and Environmental Engineering Infrastructure Research Group. These groups have a track record of high quality international research in areas of railways and transportation including human factors, railway noise and vibration, transport infrastructure construction and remediation, cutting and embankment stabilization, Intelligent Transport Systems (ITS), traffic management, safety, the environment and sustainability, integrated transport operations and freight and goods movement.